Thank you for being a thing. Thanks for saving my life. AuviQ thanks for calmly talking me through these moments in life where my heart beats fast as my hand holds you and I take a deep breath and put you in my leg to save my life. As my throat was closing slowly it opens up and I’m able to breath. Thank you AuviQs and Epipens for being there when I’m going into a horrifying shock that is known as anaphylactic. Thanks for saving my life all the times you have. Thanks for opening my air ways so I can breath and even opening them that one time when I almost waited to long to use you. Thanks for opening them up and letting me live. Thank you AuviQ for being small so I can take a smaller bag, and be able to fit into my pocket and save my life when need be. Thanks Epipen for saving me on that Friday when my friend had to use it on me. Thanks. AuviQ thanks for that time a few months ago where you saved my life twice in one night once on the chase in my living room and again in the ride to the hospital. Thanks to the people who make AuviQs and Epipens available and that make them small and make them so I am able to have them. 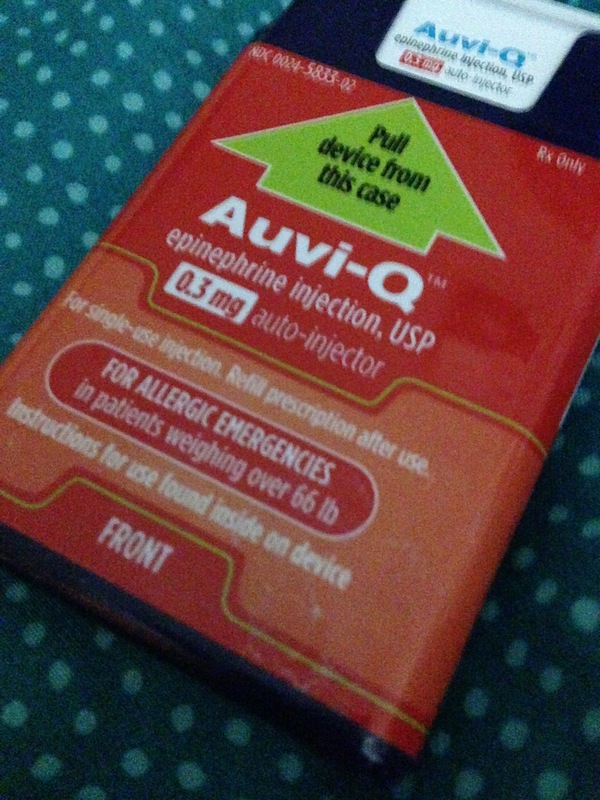 Thank you so much AuviQ Thank you so much Epipen I won’t be alive without you. Signed ShayWeasel… Thank you guys are a life saver.